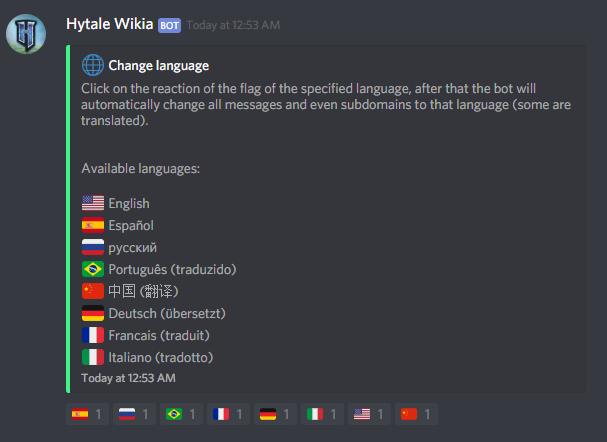 📚 Hytale Bot to get game information on your discord server. Supports multiple languages. 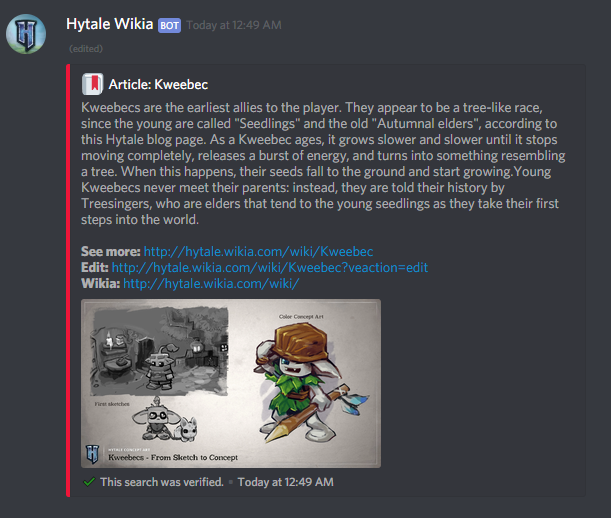 Hytale Wikia will allow you to obtain information from the web pages fandoms of hytale. Therefore, it will allow you to quickly access articles and if they do not exist, it will give you the link to add it and collaborate with providing more information to the community. .help Get the command list. .invite Invite the bot to your Discord server. .install (Admin) Define the bot channel. .find Search in the wikia.